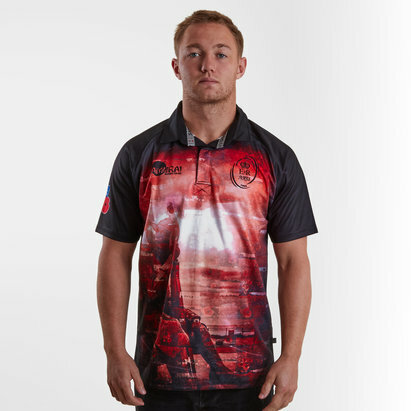 Cheer on the Roosters in the 2018 NRL with the Sydney Roosters NRL 2018 Anzac S/S Rugby Shirt from ISC. 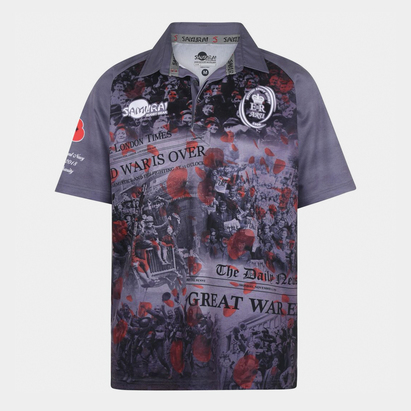 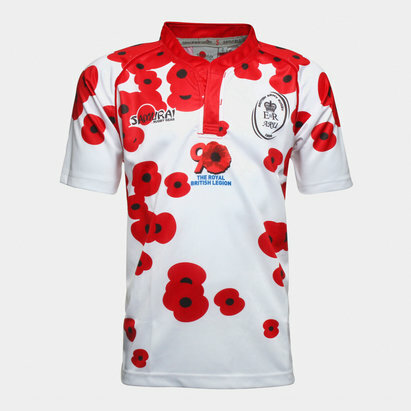 The official 2018 anzac shirt of NRL side, the Sydney Roosters, comes in the traditional navy, red and white, the striking red and white chevrons with the poppy graphic across the chest is a design synonymous with rugby league shirts. 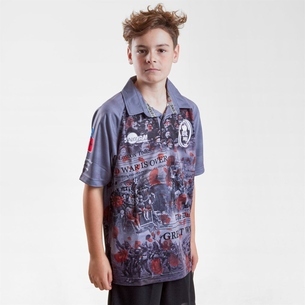 Made from 100% polyester, the shirt has a round-neck collar giving a comfortable feel. 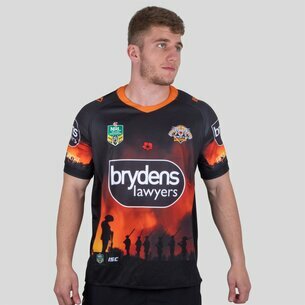 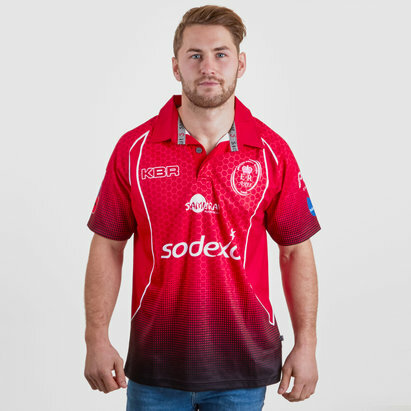 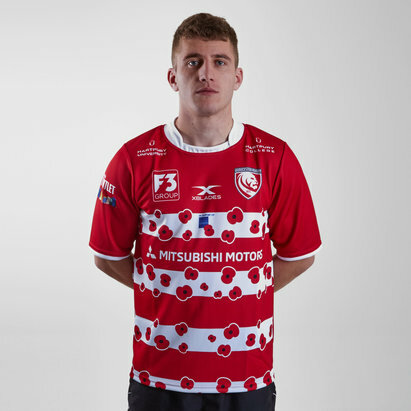 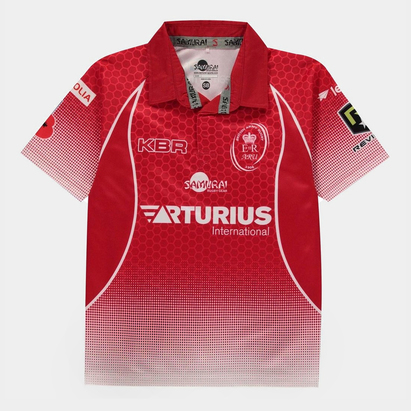 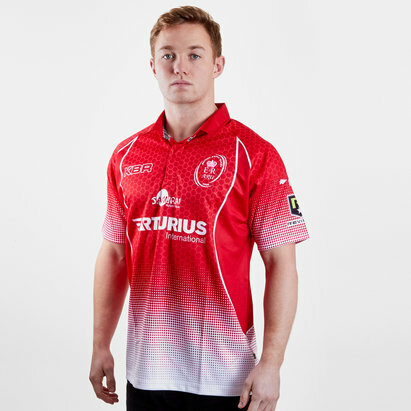 With all the 2018 sponsors printed on the shirt, the NRL and Roosters badges are embroidered upon the chest. 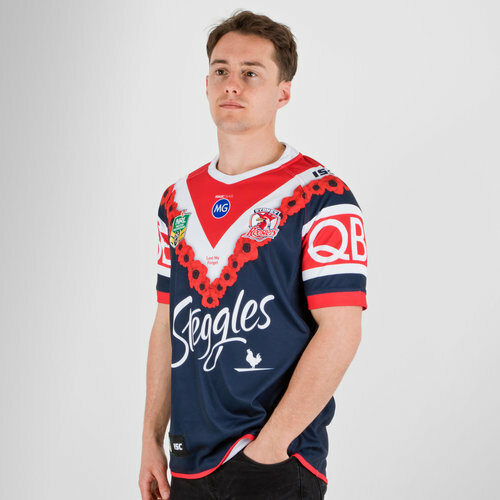 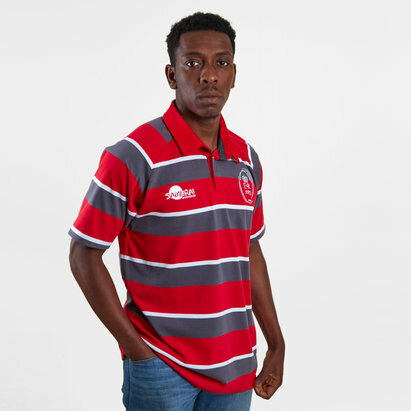 Perfect for your own grand final, training, wearing casually or at the game supporting the Rooster, make sure you pull on this ISC Sydney Roosters NRL 2018 Anzac S/S Rugby Shirt.